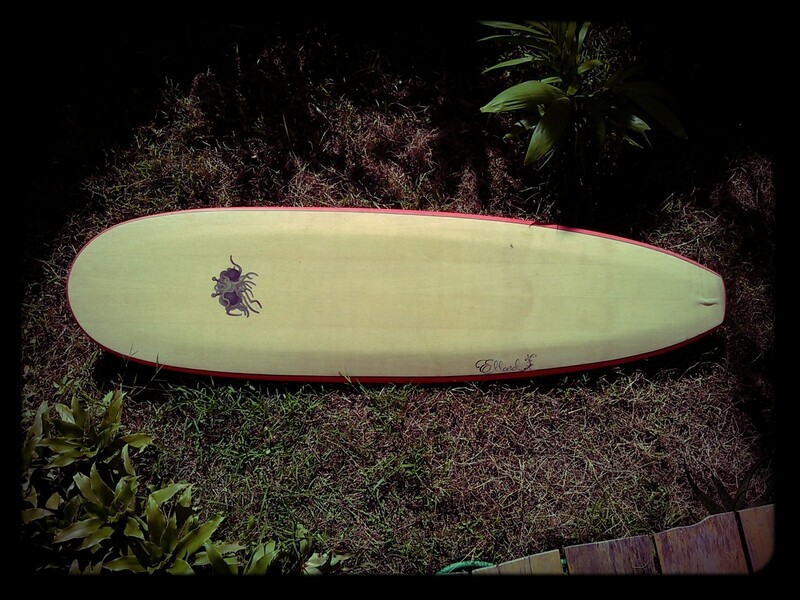 Luis wanted a mini mal for the low "wave" season in Phuket. 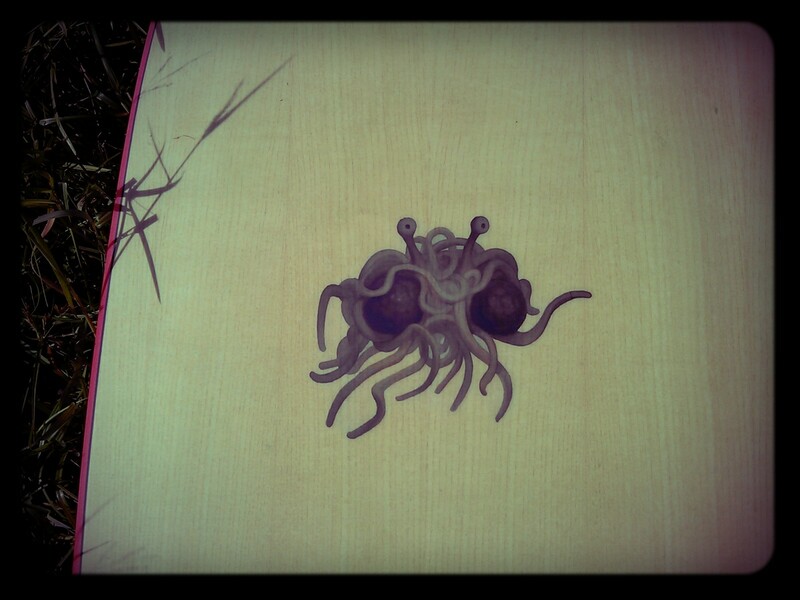 So here is his new toy the "Flying Spaghetti Monster"!! 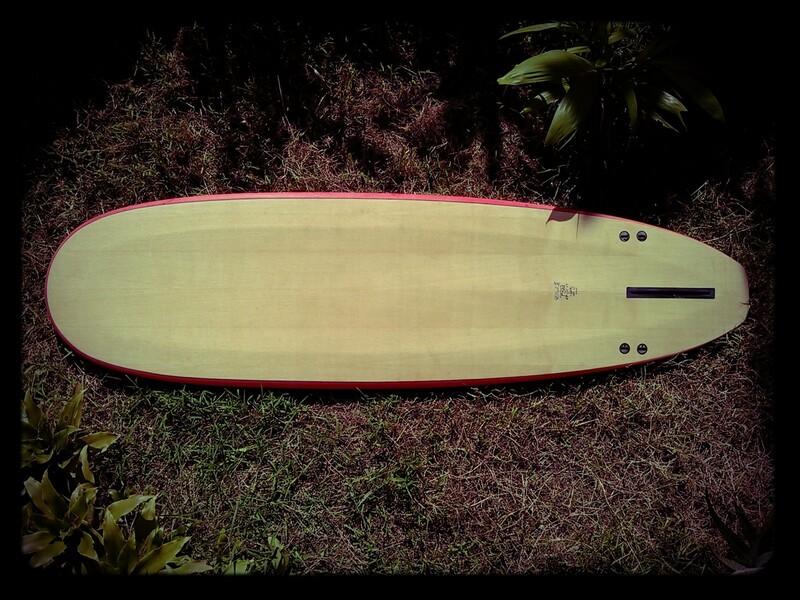 A 6'9" based on Walden's Mega Magic. 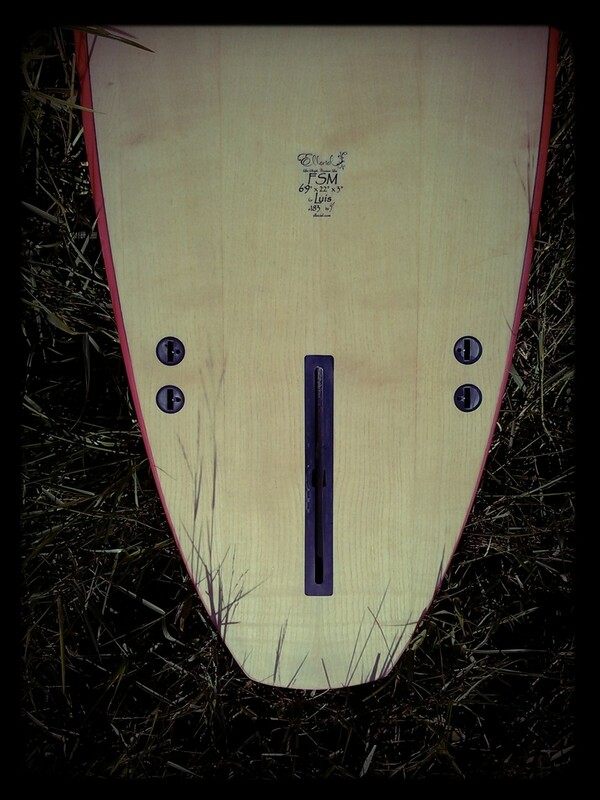 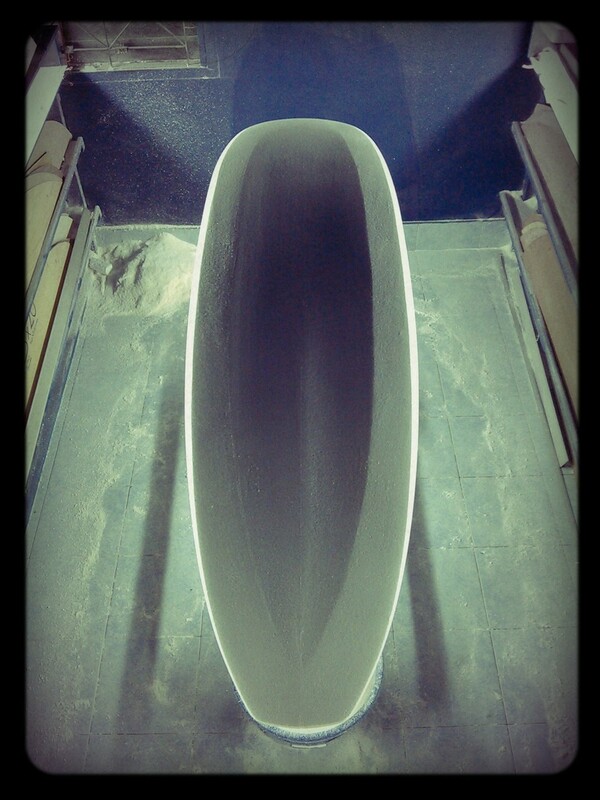 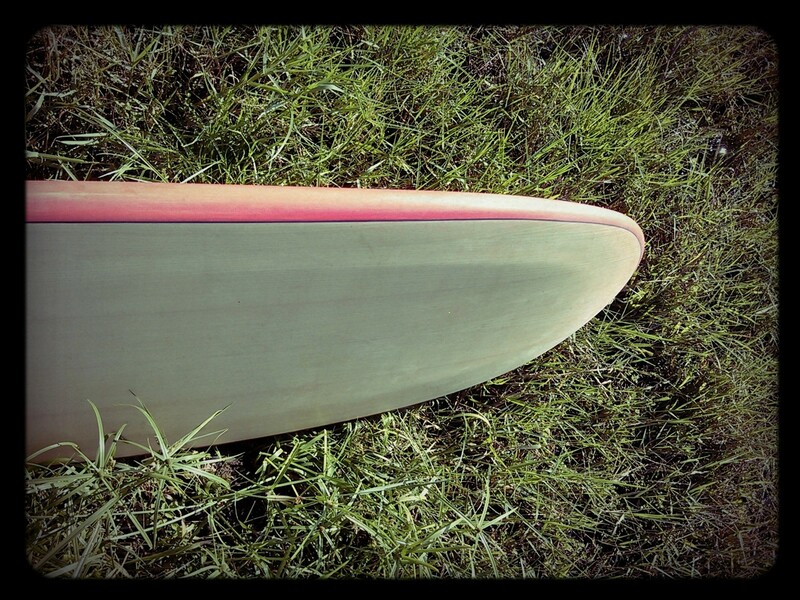 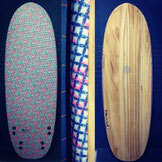 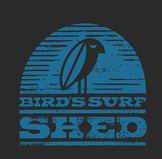 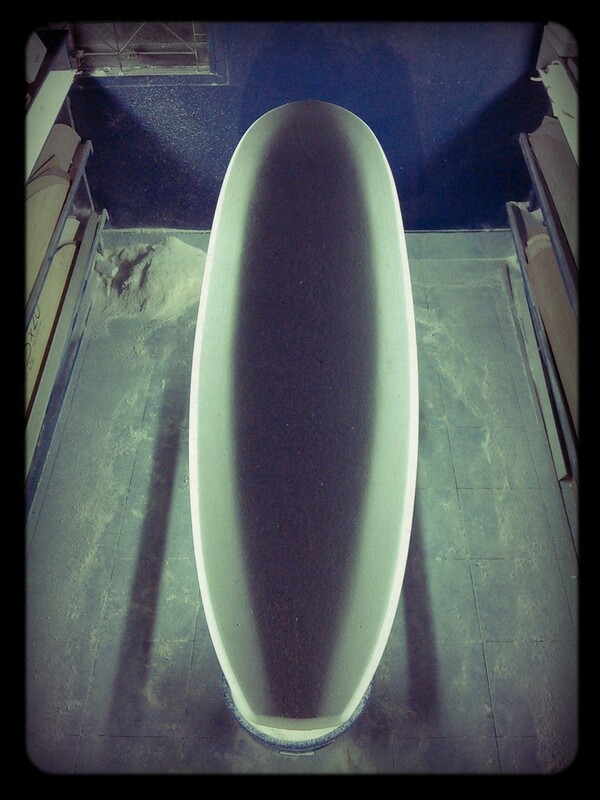 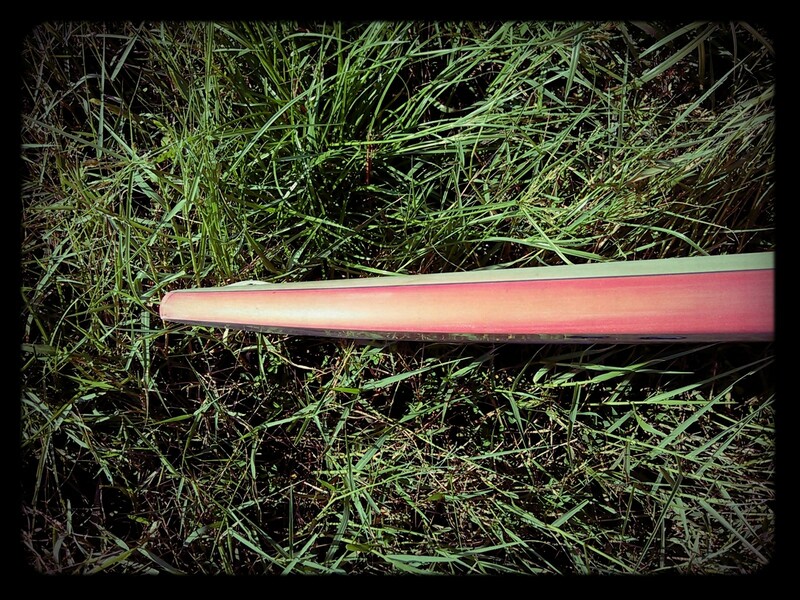 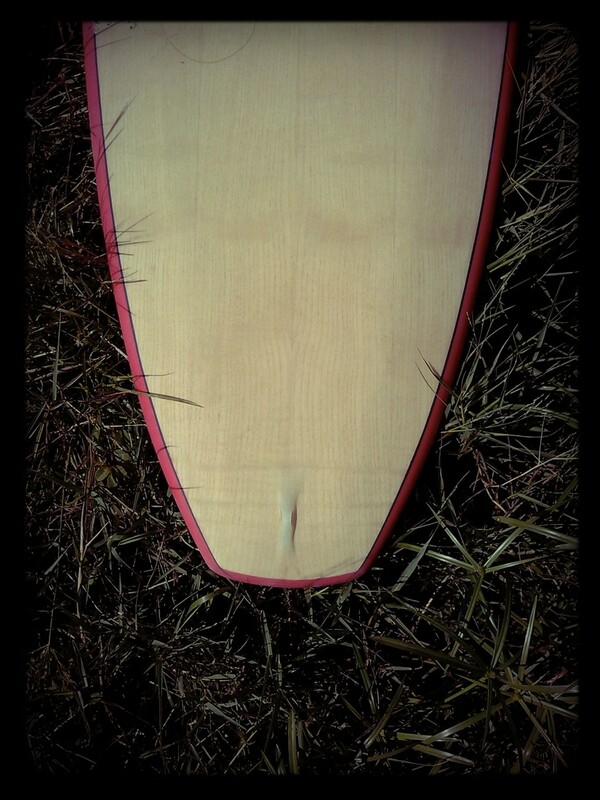 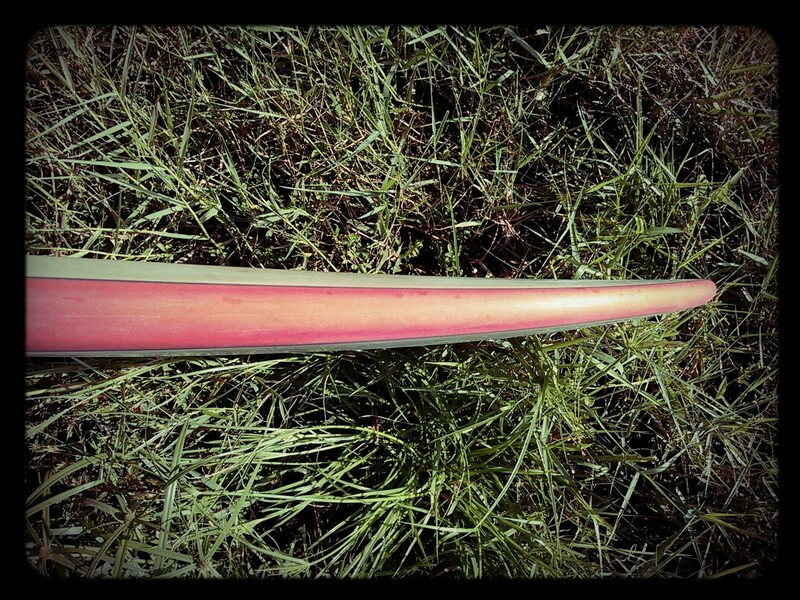 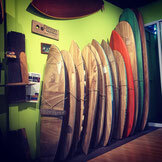 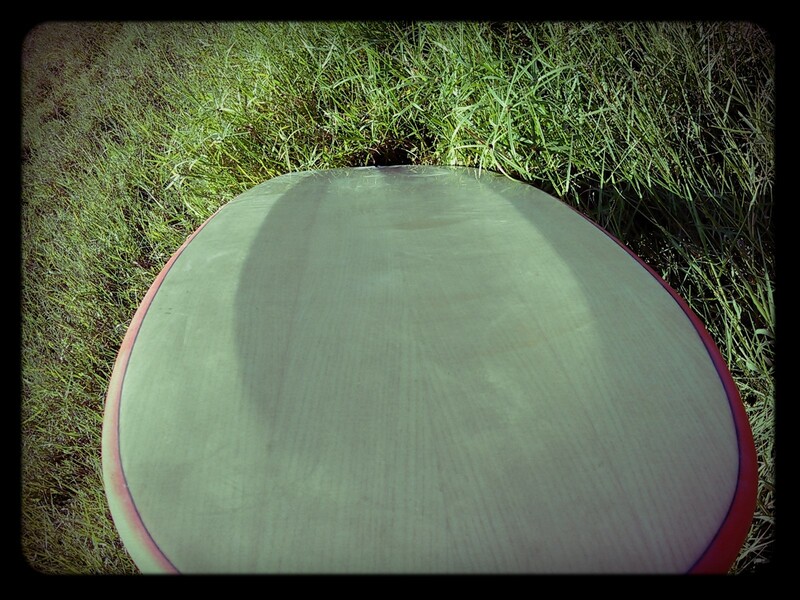 Shines on deck and bottom in order to keep rails kind of not too thick, single to double concave with a 1+2 fins setup. 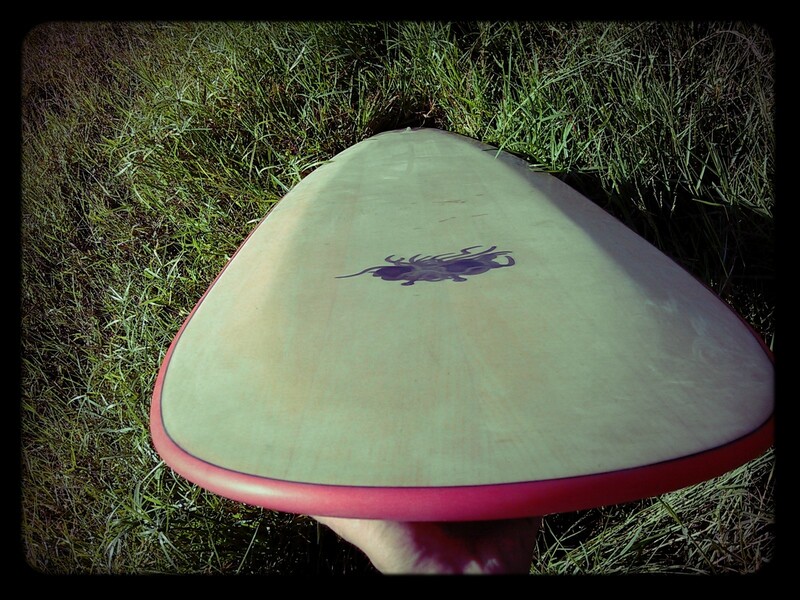 Ash wood on both sides and of course the "Flying Spaghetti Monster"! 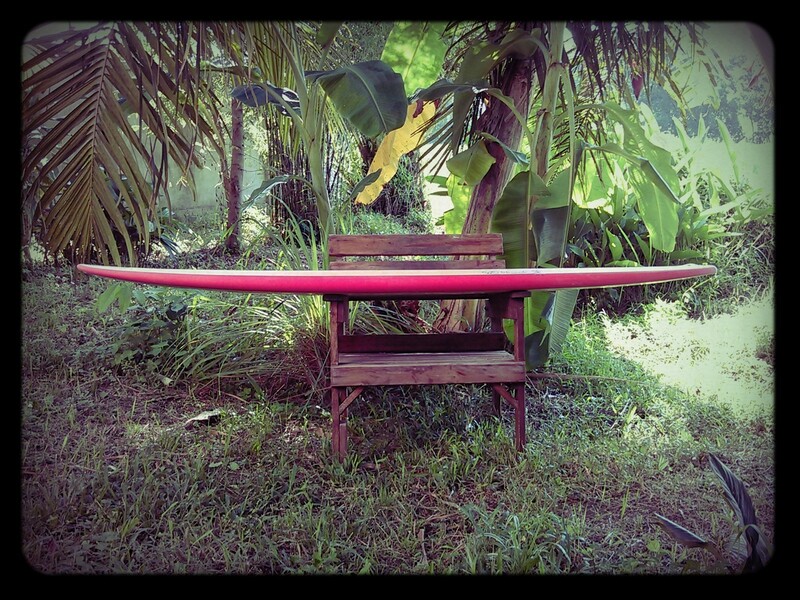 6'9" x 22" x 3"